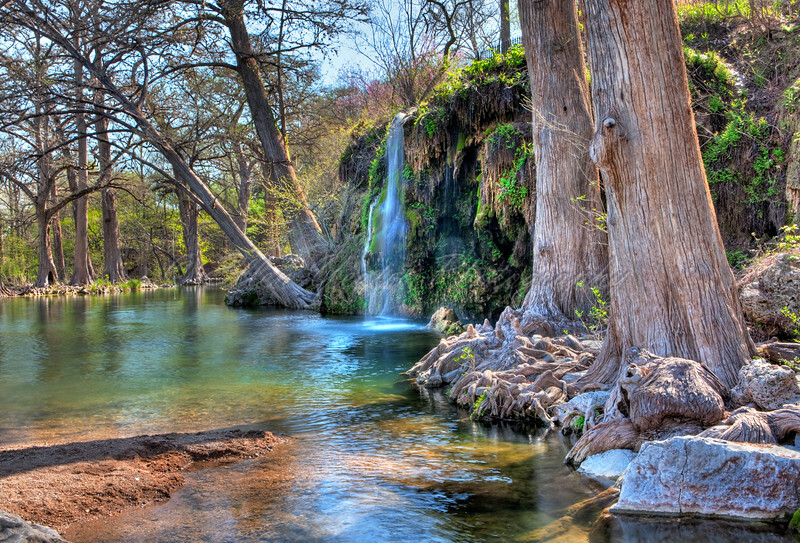 Krause Srping is a well-known camping & swimming site located in the beautiful Hill Country of Texas. It is located in Spicewood, Texas approximately 30 miles west of Austin. HDR - AEB +/-1 total of 7 exposures processed with Photomatix . Terrific shot and great job on the pp. Beautiful scenery, excellent capture and pp!